DEVELOPER CLOSEOUT â A unique opportunity to own this exceptional residence in Aqua II, the NEW 32-unit boutique luxury waterfront residential tower. This brand new 3, 940-square-foot, three-bedroom, three-and-a-half bath residence is waiting for YOU. Impressive finishes already included are, stunning marble flooring, a gourmet kitchen featuring quartz countertops, Wolf oven-micro-convection and gas cooktop, and a Sub-Zero refrigerator and wine cooler. An additional bar area also features an icemaker, sink and plenty of room to impress your guests. Naples magnificent sunsets can be enjoyed from the kitchen, living, bedroom and lanai. Family and friends who visit will enjoy the two en-suite private bedrooms. Wake up in the Master Suite to serene water views. Aqua offers residence an amenity-rich lifestyle featuring a full-time concierge, fitness center, sky lounge, social rooms, fitness center, dog park, virtual golf and so very much more! 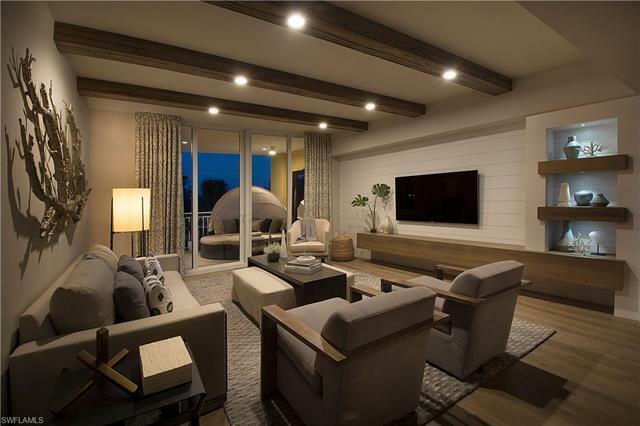 (Photographs represent Model 303, which was designed and furnished by Renee Gaddis of Renee Gaddis Interiors). ON-SITE SALES OFFICE OPEN DAILY 12:00 TO 4:00 PM.